The RWM Online fiber optic training course is the most comprehensive online fiber optic training course you will ever take available online. Passing the final exam means that you have passed the written requirements for certification. The 18 modules use state of the art multimedia (flash player) consisting of videos, interactions, and learning exercises. 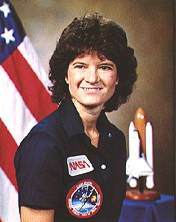 Sally Ride, the first American woman in space introduces the course. Preview Module 11, Optical Principles & Properties of Light. The course is designed to be a starting point for technicians, admininstrators, professionals and just about anyone else interested in Optical Fiber and Fiber Networks. It will help you build an effective foundation for future investigation and hands-on course work. The online fiber optic course could be completed in 60 hours, however after the initial login, it will be active for up to 12 months. Many of the Fiber Optic Modules are very time consuming especially the ones with demos on connectorizing, splicing and the OTDR. Each module has review questions. A mid-term and a final exam is given after completion of all the modules. A technical advisor is assigned to each enrolled student. After successful completion of the course, a Certified Professional Fiber Optics Installer (CPFOI) Certification document and exam results is sent to the student and Fiber Optic International. Get Nationally Certified by Fiber Optic International as a Fiber Optic Technician/Installer by passing this course AND having documented fiber optic experience OR by passing a hands-on course. Fiber optic experience must be a minimum of 1 year either privately or in the military.